Congress is holding a hearing on a “heartbeat” abortion ban. 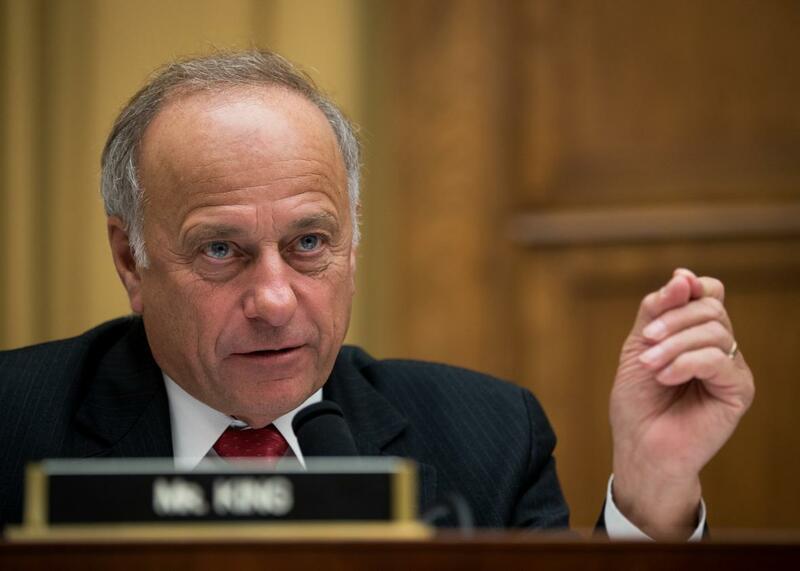 Rep. Steve King, R-IA, introduced the bill at the start of this session. The House of Representatives will hold a hearing next week on a bill that would ban all abortions after the fetus has a detectable “heartbeat,” which typically comes around six weeks’ gestation, or before many women find out they’re pregnant. The Judiciary Committee has scheduled the hearing on the “Heartbeat Protection Act of 2017” for Nov. 1, marking one more step toward a law that would send doctors to prison for up to five years for performing an abortion after that time. There’s little question that this bill is unconstitutional. Roe v. Wade prohibits laws that would ban abortions performed before fetal viability, around 24 weeks gestation. Each time “heartbeat” bills have passed state legislatures and been signed into law, federal judges have struck them down. The Supreme Court declined North Dakota’s request to appeal its blocked “heartbeat” bill in 2015. It’s highly unlikely that the “heartbeat” bill would ever pass the Senate, what with its robust minority of Democrats and their filibuster power. But that may not be the point. Last month, the president of the Susan B. Anthony List, an anti-abortion group, told Rewire that activists want to force Democrats in Congress to vote on abortion legislation in preparation for the 2018 midterm elections. Now that the Democratic Party is making known its intent to back anti-abortion candidates, anti-abortion activists hope Democrats in swing districts will vote against the abortion bans, giving Republicans (or right-leaning Democratic challengers) ammunition for their campaigns. Another way to look at the House’s “heartbeat” bill is through the lens of Ohio, where the legislature passed a nearly identical bill in December. State legislators also passed a similarly unconstitutional 20-week abortion ban in quick succession, sending both to Gov. John Kasich’s desk. The pairing allowed Kasich to thread the eye of a vanishingly small needle: He was able to veto one anti-abortion bill (the “heartbeat” bill) while preserving his conservative bona fides by signing the other (the 20-week ban). The “heartbeat” bill also functioned as something of a distraction, riling up pro-choice activists in one direction while a stealthier rollback of abortion rights was happening in the other. Putting six weeks up against 20 made the latter appear more reasonable, too, making use of the old salary-negotiation tactic that has job-seekers put forth an outrageous number (in this case, six weeks) to skew the terms of the discussion. Janet Porter, the president of anti-abortion group Faith2Action, wrote the Ohio “heartbeat” bill; she then passed it on to Rep. Steve King, R-IA, who introduced it in Congress at the start of this session. King and his allies may be looking to replicate the Ohio playbook in Washington. A few weeks ago, Congress passed a 20-week abortion ban sponsored, incidentally, by two representatives who’ve been caught urging their extramarital girlfriends to terminate their own pregnancies. The more severe ban makes the 20-week one look like something of a middle ground, a possible compromise for legislators with mixed feelings on abortion rights. The “heartbeat” bills also pushes the acceptable bounds of the abortion debate ever lower, anchoring the conversation at the anti-choice extreme. The more Congress debates a “heartbeat” bill, the more likely other infringements on abortion rights will come to be seen as acceptable compromises.